No upcoming shows at this time. Join the mailing list for updates. 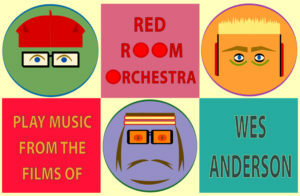 The Red Room Orchestra, under the direction of bandleader Marc Capelle, present an evening of the best of Wes Anderson’s soundtracks, from Bottle Rocket to Rushmore, and The Royal Tenenbaums to Isle of Dogs, featuring the films’ iconic original score cues combined with rock, pop, jazz and classical songs featured on the soundtracks, with everything from Zoot Sims and The Clash to Ravel and The Kinks. Members of the ensemble include Marc Capelle (American Music Club), Yuka C. Honda (Cibo Matto), Toby Dammit (Nick Cave and the Bad Seeds, Iggy Pop), Hether Fortune (Wax Idols), Bart Davenport (Bart & The Bedazzled) Allyson Baker (Dirty Ghosts), Tom Ayres (Persephone’s Bees), Karina Denike (Dance Hall Crashers), Robin Macmillan (Aoife O’Donovan), Ben Goldberg (New Klezmer Trio), Scott Larson (Dizzy Gillespie Band), Aaron Novik (Fred Frith’s Gravity Band) and Eli Crews (Beulah). The string quartet will feature the talents of Dina Maccabee, Alisa Rose, Mazz Swift and Jess Ivry. Special guests include comedian and singer Margaret Cho (“The Masked Singer”), singer Hether Fortune (Wax Idols), comedian and musician Dave Hill (Valley Lodge) and author and journalist Michael Azerrad as the Narrator. 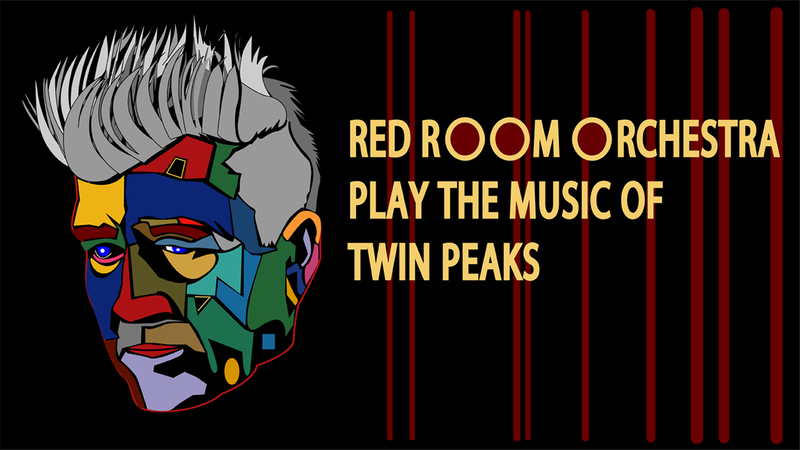 The Red Room Orchestra, under the direction of bandleader Marc Capelle, recreate soundtrack and score selections from David Lynch’s “Twin Peaks” universe. A fully immersive live concert experience featuring the beloved instrumental score and vocal tunes from each season of the show plus selected music from “Fire Walk with Me,” “Blue Velvet” and “Eraserhead” thrown in for good measure. With Carroll Ashby, Tom Ayres, Allyson Baker, Marc Capelle, Eli Crews, Toby Dammit, Bart Davenport, Karina Denike, Ben Goldberg, Tom Griesser, Jess Ivry, Amber Lamprecht, Scott Larson, Dina Maccabee, Todd Roper, John Schott, Kurt Stevenson, and special guests Margaret Cho, Kevin McDonald, Eugene S. Robinson, Kelley Stoltz and Stephen Yerkey. Hosted by “The Stranger” (James Adomian as Sam Elliott). 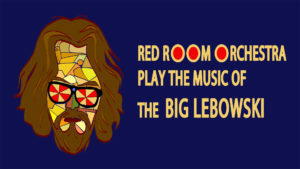 After tackling the soundtracks of Wes Anderson’s “Rushmore” and “The Royal Tenenbaums” at last year’s SF Sketchfest, the Red Room Orchestra set their sights on recreating the soundtrack of the Coen Brothers’ classic comedy “The Big Lebowski.” From Bob Dylan and Meredith Monk to Kenny Rogers and Yma Sumac, no musical stone will be left unturned. Hold out some hope for the Creedence, and love it or hate it, we’re playing the f*ckin’ Eagles, man. 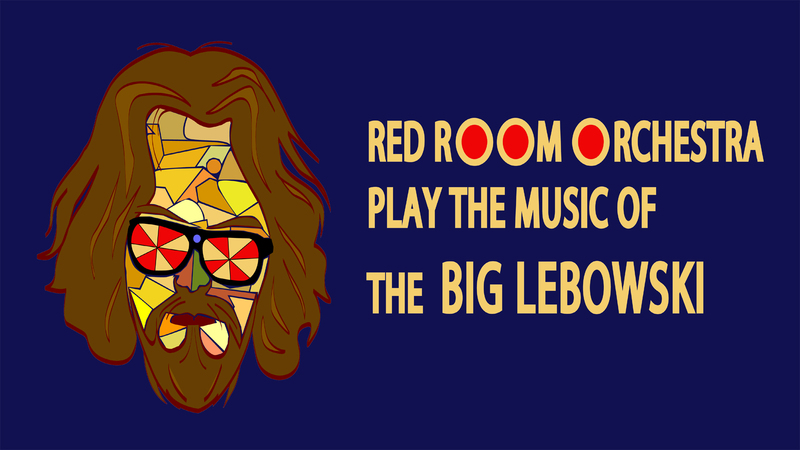 Come dressed as your favorite Lebowski character, order a white Russian, and abide. with Tom Ayres, Allyson Baker, Marc Capelle, Eli Crews, Toby Dammit, Karina Denike, Yuka C. Honda, Dina Maccabee, Todd Roper and special guests including Margaret Cho, cast members Chrysta Bell (“Tammy Preston”), James Marshall (“James Hurley”) and more. Once again, the Chapel becomes the Roadhouse. 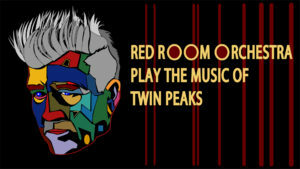 Join the Red Room Orchestra for a new round of the music of “Twin Peaks” with a deeper dive into the musical world of David Lynch’s work featuring Marc Capelle’s all-star ensemble recreating the beloved classic instrumental score and pop vocal tunes from every season of the show plus “Fire Walk with Me” and more from other Lynch films. Dress as your favorite character from the Lynch world and step into another dimension. 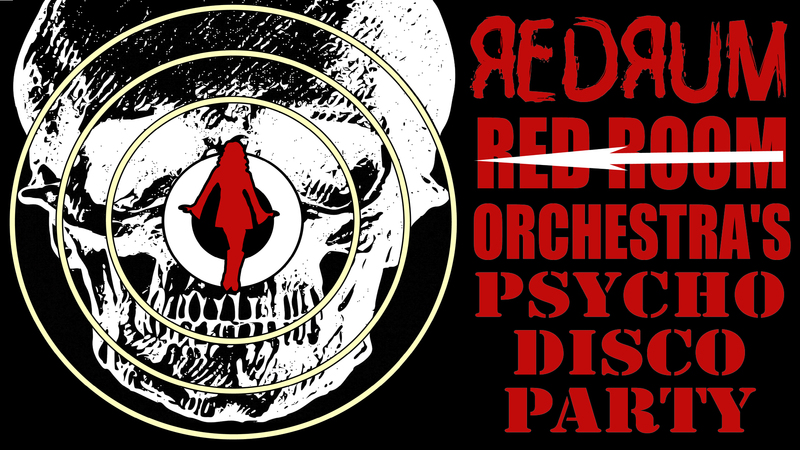 For one night only the Red Room Orchestra becomes the REDRUM Orchestra, performing a psycho selection of souped-up scary soundtrack songs. Bandleader Marc Capelle is joined by Yuka C. Honda of Eucademix and Cibo Matto, Allyson Baker of Dirty Ghosts, Dina Maccabee of Julia Holter’s band, Tom Ayres of Persephone’s Bees, and Todd Roper of Cake for a night of deadly disco diversions based on classic horror film soundtracks and scores. 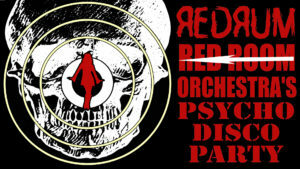 A mix of score cues and soundtrack songs from the films of Dario Argento, John Carpenter, Stanley Kubrick, David Lynch, and George A. Romero with a bit of The Exorcist, Phantasm, Rosemary’s Baby, plus original works, all hosted by master of ceremonies Hether Fortune. The Sideshow Attractions include horror stories from Porchlight and Parker T. Gibbs, Glitch Art Projections from the Balboa Theatre, gruesome grooves from Popscene’s DJ Omar Perez, bloody cocktails, and a costume contest. This is a horror soundtrack disco dance party show like you’ve never seen. The GastroMagic stage becomes the Roadhouse, as the all-star Red Room Orchestra recreate soundtrack and score selections from David Lynch’s iconic “Twin Peaks” universe. Join us for log cakes from Melissa Chou and songs from bandleader Marc Capelle with Yuka C. Honda (Cibo Matto), Toby Dammit (Nick Cave and the Bad Seeds), Tom Ayres (Persephone’s Bees), Allyson Baker (Dirty Ghosts), Karina Denike (Dance Hall Crashers), Daniel Fabricant (Nice Guy Trio), Tom Griesser (Marcus Shelby Orchestra), Dina Maccabee (Feist), Todd Roper (Cake), Karla Milosevich, plus special appearances by cast members Michael Horse (Deputy Hawk) and James Marshall (James Hurley). The Red Room Orchestra recreate the soundtracks from Wes Anderson’s beloved films, with score cues and pop hits from “Rushmore,” “The Royal Tenenbaums,” “Bottle Rocket,” “The Life Aquatic with Steve Zissou,” and “Isle of Dogs.” Bandleader Marc Capelle (American Music Club) leads an ensemble including Yuka C. Honda (Cibo Matto), Toby Dammit (Nick Cave and the Bad Seeds), Tom Ayres (Persephone’s Bees), Allyson Baker (Dirty Ghosts), Andy Cabic (Vetiver), Jason Carmer (Kimya Dawson), Bart Davenport (Bart & The Bedazzled), Karina Denike (Dance Hall Crashers), Daniel Fabricant (Nice Guy Trio), Hether Fortune (Wax Idols), Tom Griesser (Marcus Shelby Orchestra), Todd Roper (Cake), Michael Urbano (Cracker), Howard Wiley (Extra Nappy), a string quartet featuring Dina Maccabee, Evan Price, Irene Sazer and Jess Ivry, and a special appearance by Rock & Roll Hall of Fame inductee James Williamson of the Stooges. An original No Wave/disco score commissioned by the San Francisco International Film Festival for a series of short films from Stephen Parr’s Oddball Films archives, a collection of 16 mm industrials, educational films and mind-roasting ephemera. With bold interpretations Lou Harrison’s “Simfony #13,” The Velvet Underground’s “Venus in Furs,” and Italian disco classic “Spacer Woman,” along with original compositions by the ensemble’s Ben Goldberg, Devin Hoff, Tom Ayres, Marc Capelle, Yuka C. Honda, and Dina Maccabee. This sonic and visual funhouse also features percussionists William Winant, Toby Dammit and Todd Roper, guitarist and arranger Allyson Baker and the voices of Hether Fortune, Phil Crumar, Karla Milosevich and Arline Klatte. 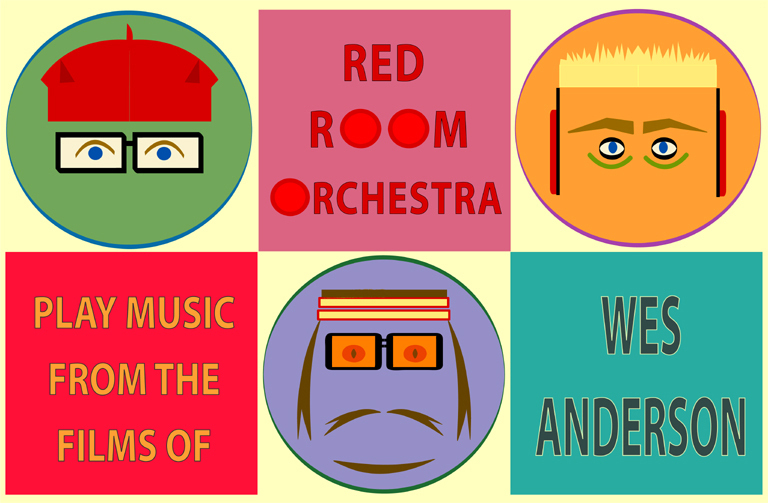 Join an all-star group of musicians under the direction of Marc Capelle as they pay tribute to the soundtrack to The Royal Tenenbaums and recreate the music live. Bandleader Marc Capelle leads an all-star group of musicians including Peter Asher (Peter & Gordon), Tom Ayres (Persephone’s Bees), Allyson Baker (Dirty Ghosts), Toby Dammit (Nick Cave and the Bad Seeds), Bart Davenport, Karina Denike (Dance Hall Crashers), Hether Fortune (Wax Idols), Devin Hoff (The Nels Cline Singers), Yuka C.Honda (Cibo Matto), Cyril Jordan and Roy Loney (The Flamin’ Groovies), Jon Langford (The Mekons), Thao Nguyen (Thao & The Get Down Stay Down), John Roderick (The Long Winters), Todd Roper (Cake), Kurt Stevenson, a string quartet featuring Dina Maccabee, Helen Newby, Alisa Rose, and Irene Sazer, and a horn/reed section featuring Carroll Ashby, Sheldon Brown, Ben Goldberg, Tom Griesser, Scott Larson, and Amber Lamprecht.